The insurance department cited several factors for the steep rise in rates, which outpace increases it allowed in recent years. Those factors include medical inflation, the expiration of federal premium stabilization payments made to insurers over the last three years as part of the Affordable Care Act, and higher than expected medical costs among customers. Rates for individual plans offered through AccessHealthCT. Wade deemed two rate requests from Anthem Health Plans and one from ConnectiCare Insurance Company to be excessive. 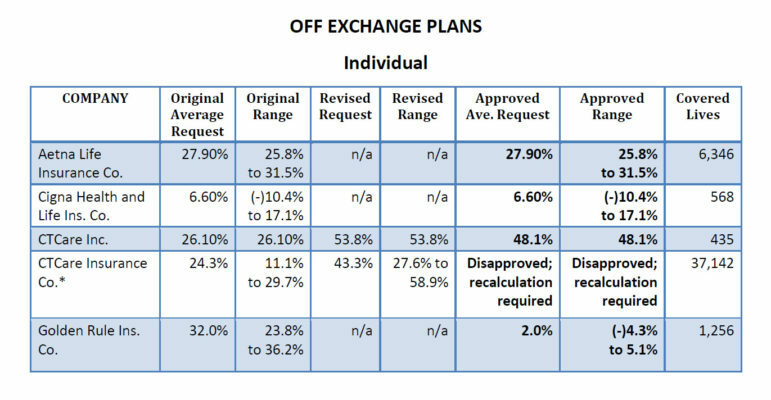 And a ConnectiCare proposal averaging a 43.3 percent increase on individual policies affecting 37,142 people, and sold outside of the exchange. Rates for plans offered outside the health insurance exchange. “We are currently reviewing the department’s decision,” Anthem wrote Friday in a statement. 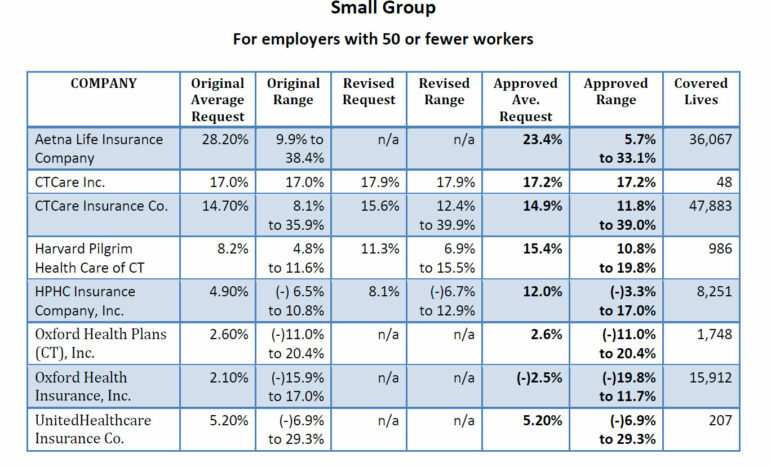 The approved rate increases will affect more than 63,800 people whose policies are sold on the state exchange, including 47,597 on individual policies and 16,274 on small group policies. Many of the people who buy on the exchange, though, will receive government subsidies and therefore won’t pay full price. Small group rates off the exchange.